In Mozambique, chemical companies distribute pesticides with safety information written in English instead of the local languages. This is putting users at risk, particularly women and children. Alarmed by seeing women spraying pesticides while carrying babies on their backs and using chemical containers to collect water, staff of the Africa Foundation for Sustainable Development (AFSD) took action. They are working with the business community, the Ministry of Environment, the Global Environment Facility, WWF and other stakeholders to ensure that appropriate safety information is provided. They also promote natural alternatives to pesticides and develop chemical disposal facilities. These efforts form part of Mozambique’s national plan to implement the Stockholm Convention on Persistent Organic Pollutants (POPs) while also contributing to national initiatives to achieve food security, reduce poverty and safeguard the environment. The work focuses on a region in southern Mozambique. Communities in Namaacha and Macaneta districts have long been using numerous industrial, toxic chemicals through lack of awareness of the dangers, partly due to low literacy levels. As in most impoverished communities, very few women have regular employment, their rights are often violated and they have low self-confidence. This is linked to further challenges such as reduced maternal health and increased child mortality. Only 6% of households have access to electricity and education. Unemployment rates are as high as 40% in some communities and HIV/AIDS is prevalent. There is limited information on the use of POPs. It is common to see street vendors selling chemicals with no safety precautions or information. Communications, engagement and collaboration are essential foundations for this project and work together to ensure the buy-in of the many stakeholders, build trust and develop solutions that are practical and sustainable. Project partners have been working together over the last two years to resolve conflicts, provide solutions and chart the way forward. As a result, a solid community structure and reporting lines have been established, an action plan has been developed and the allocation of funds decided. All problems are being tackled in conjunction with community leaders and businesses with the consultation of government stakeholders as required. Training communities on the safe use of pesticides and engaging relevant stakeholders including companies to help source new, safer alternatives to toxic pesticides. A 15% reduction in the use of toxic chemical pollutants in vulnerable communities. Creation of a pilot community farming projecting Mafuiane and Mahelane communities in Namaacha district to test natural fertilisers for growing organic plants while improving soil quality. Increased awareness about the use of chemical pesticides and shared experience among stakeholders on the use of bio pesticides to help reduce the use of POPs. Empowerment of women to take part in decisions, gain control of their lives, find employment and help improve the well-being of their communities. Creation of a community-run waste management centre and ‘food lab’ to promote cassava production and other products such as ethanol as an income source. Other centres are planned. Building a community spirit and a willingness among groups to work together on joint projects. Raised awareness of the importance and benefits of environmental sustainability and the need to stop harmful practices. Generation of more small businesses through training and encouragement. 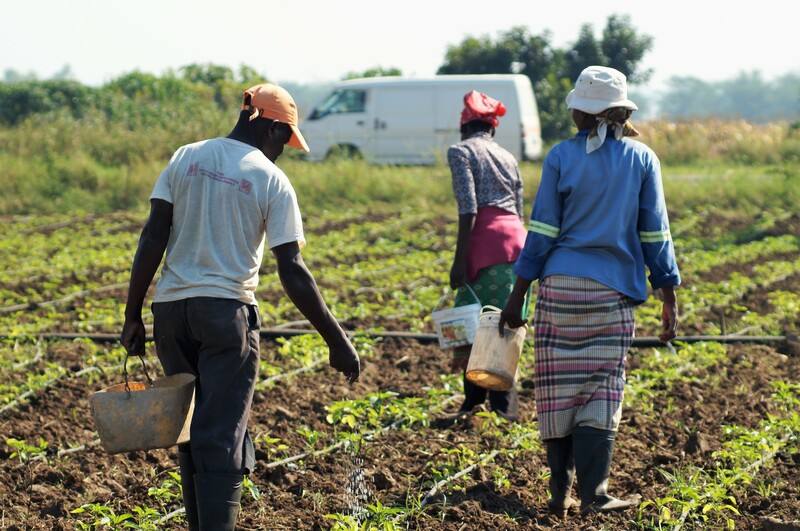 To help transform Mozambique’s agricultural system into a more sustainable model, AFSD and partners believe farmers should have the right to food sovereignty. The term food sovereignty, coined by members of Via Campesina in 1996,asserts that the people who produce, distribute, and consume food should control the mechanisms and policies of food production and distribution, rather than the corporations and market institutions they believe dominate the global food system. It also encompasses the right of people to healthy and culturally appropriate food and their right to define their own food and agriculture systems. Achieving food sovereignty involves having control of natural resources particularly land, water and seeds, as well as access to electricity. In Mozambique, biodiversity and ecosystems are being lost or contaminated as a result of the current production and consumption model and the misuse of pesticides and other chemicals. There is a need for better information provision; planning and provision of services that meet the needs of local producers and communities; decentralisation and capacity building related to food and public health services; creation of urban market gardens; and the development of consumer groups or cooperatives that promote ecologically friendly food production. These are some of the measures that AFSD and partners are promoting. They want to put cooperatives or women’s agricultural groups in direct contact with consumers, establish relationships and solidarity between rural and city dwellers, strengthen the social fabric of communities, and create alternative food production models. AFSD’s Thelma Munhequete believes there is great potential for positive change. “We have alternatives and everything depends on us if we could only change our behaviour and consciousness in the interests of public health,” she says.